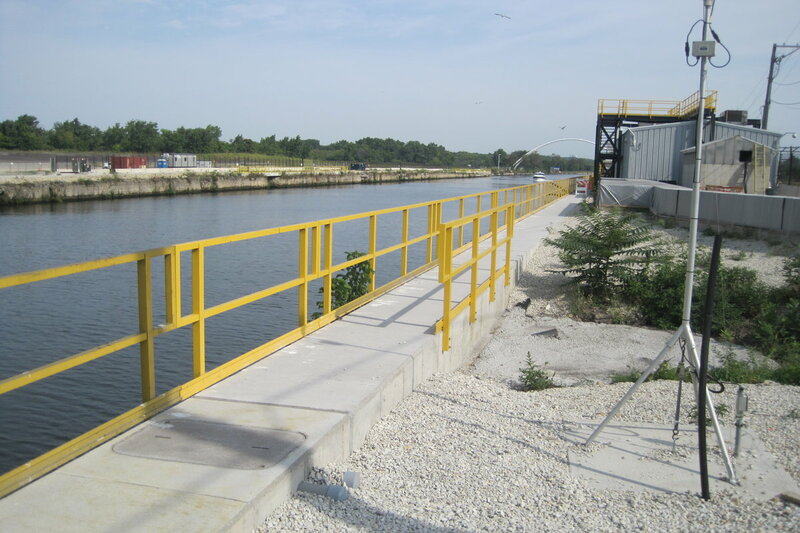 Dispersal Barrier IIA Upgrades – Joseph J Henderson & Son, Inc.
Sidewalks were constructed along the east bank of the canal from the south end of Barrier IIA to meet the existing Barrier IIB sidewalk. 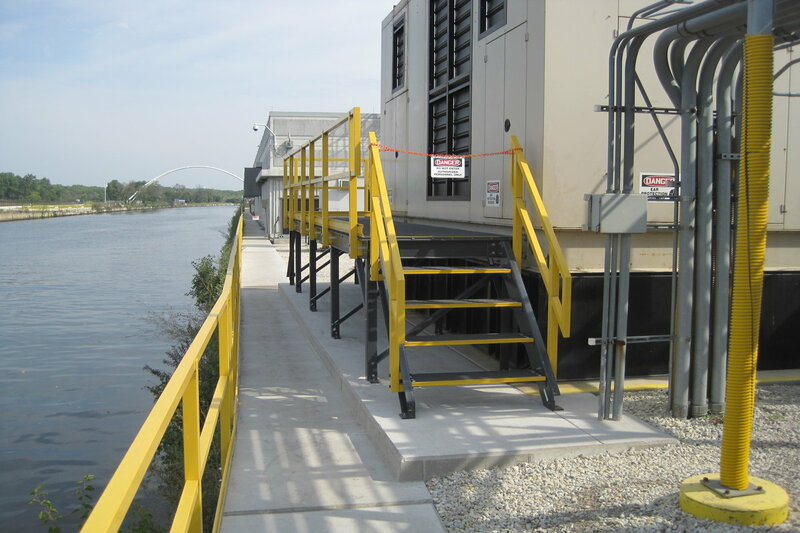 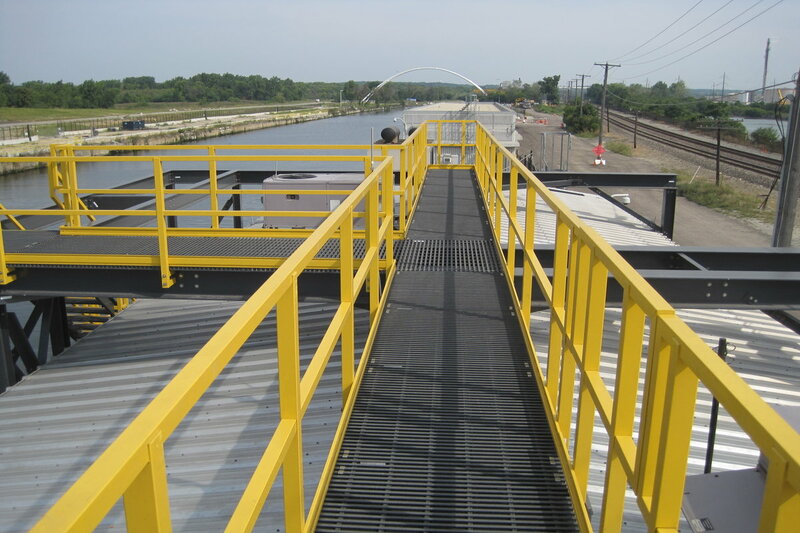 A fiberglass catwalk was installed surrounding the existing Barrier IIA generator for maintenance access and along Barrier IIA’s roof for access to the existing HVAC system. 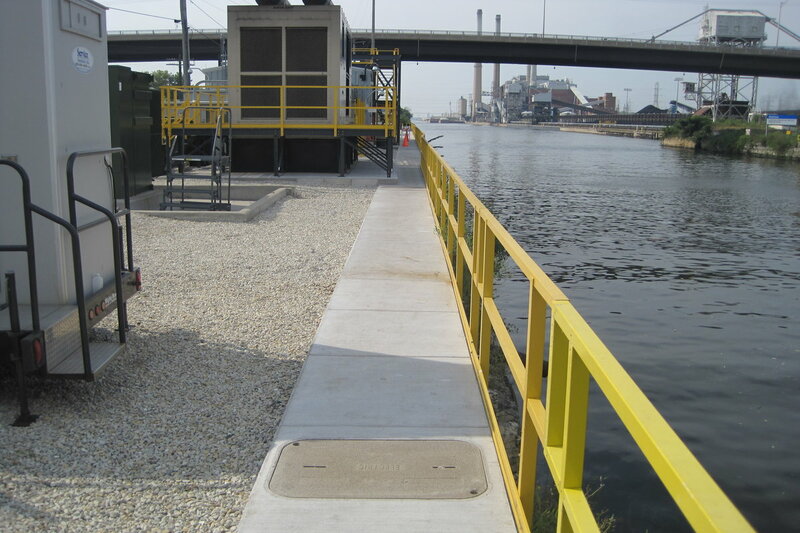 Louvers were installed for the Barrier II generator for dust control. 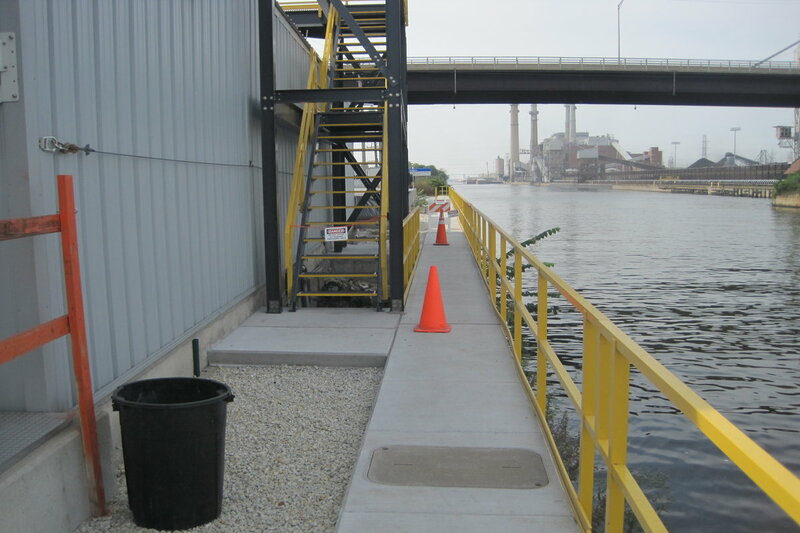 JJ Henderson was the prime sub and mentor to Molter Corporation.